You can find more than Great Places and Great Faces in South Dakota, SD. 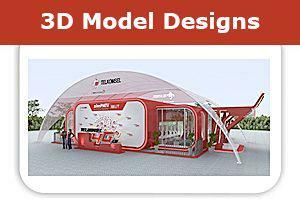 When partnering with Capital Exhibits, you’ll get nothing less than 3D rendering design & great graphic design SD. We work with all industries in Sioux Falls, Rapid City, Aberdeen, Watertown, Huron, SD and everything in between with all their 3D rendering design or graphic design serivces. We don’t offer cheap 3D rendering design or graphic design. We offer premium services at affordable pricing. Our product catalog is expansive, and we will work with you to create a business graphic design package that fits your needs and helps you reach your business goals. Our team of design experts can craft a custom display using many different dynamic components. 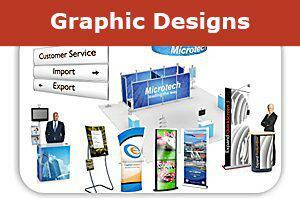 These displays are designed to get results and increase your brand’s visibility. You can choose from individual products, custom package designs and even rentals. Have an idea of what you want? Request a quote Not exactly sure of the best fit? It doesn’t have to be confusing to find the right product mix to fit your budget. Let us help! Our goal is to help you reach your target-audience and Build Your Best Image. We understand the pressure to organize all the details of a major event and still create top-notch 3D rendering design and graphic design images and advertising. Our affordable graphic designers work with throughout every step of the process to create the best graphic design idea for your brand. We offer brochure design work and business card graphic design options to put take-home material in your potential customers’ hands. Try promoting your business with a unique tee shirt design for your employees or as a giveaway. Let us create a full branding design package to increase brand awareness and market share in your industry. With Capital Exhibits’ graphic art design services, our clients recognize the value of having outstanding branding design graphics at an affordable price. For more information on logo design prices, print design pricing, t shirt graphic design prices, graphic design quotes and rates, contact us today! Rely on our experts to ”Build Your Best Image” for all your future events. Call us at (866) 730-3746 to speak directly with a graphic designer or send us an email at [email protected] with any questions.